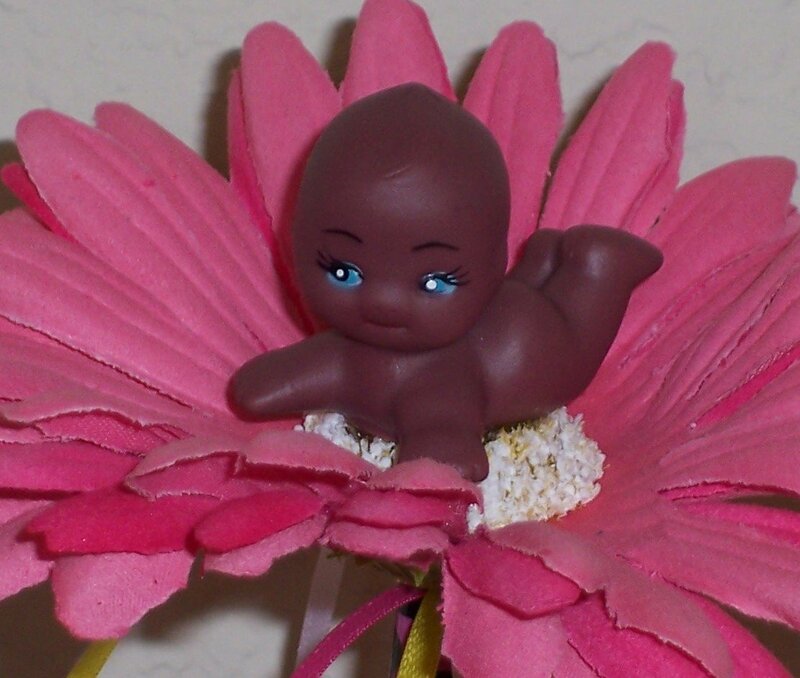 Adorable little baby sits atop a pink daisy bloom. Perfect for a baby shower favor gift. Set of 4 pens in black and blue ink, with pink, hot pink and yellow ribbon streamers. Color choice: Pens are wrapped in genuine Duct brand tape in your choice of pink with white polka dots, or "wild cat" pattern of bold pink with black and lime spots.